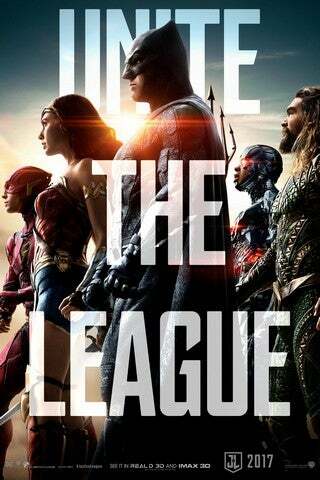 Justice League may not have been the big game-changer from the DC Extended Universe that fans had been hoping for, the film still showed superheroes coming together to fight a battle much larger than themselves. It was a message director Zack Snyder made sure a group of kids with disabilities got to see and now, those children are saying thank you. As shared on Reddit's DC Cinematic community, Snyder recently posted a photo to his Vero account showing him holding a framed photograph by photographer Josh Rossi featuring several children with disabilities reimagined as Justice League heroes. The children each signed their names to the photo, given to Snyder as a thank you for the special screening of the film he set up for them. To give a little context, this all started back in August when Rossi -- who is known for his themed children's photoshoots -- put together a Justice League-themed series featuring children dealing with serious illness or disability. The kids became known as the Justice League Kids, with images of the series going viral. Snyder followed up with that and created a special screening for the six Justice League Kids, providing them the opportunity to see the film along with their family and friends with DC giving the kids lots of DC Comics merchandise, too, after they walked the red carpet. While the kids and their families no doubt were thrilled to get their own private screening of the heroes, for Snyder it's the kids that are the real heroes. "Thank you from Debbie and I to the Justice League Kids for this amazing gift, you kids are the real heroes," Snyder wrote about the thank-you and the kids. Justice League is now in theaters; Aquaman arrives on December 21, 2018; Shazam! on April 5, 2019; Wonder Woman 2 on November 1st, 2019; Cyborg on April 3, 2020; and Green Lantern Corps on July 24, 2020.